Hello Jill. Our experience with AMS was great! It has been nice to get my husband to the doctor appts without having to call "City Ride" for pick-up. Tell your boss that Jody said you did a great job and you need a raise. Keep up the cheerful attitude. Open new avenues of adventure with accessible transportation by purchasing one of our low-cost wheelchair vans through our online purchase option. 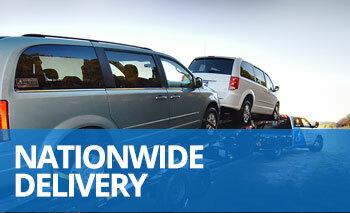 We can deliver the vehicle right to your front door in Naples, Florida. Working with a personal mobility consultant, your sales experience will be customized around your schedule using the phone and Internet. After the sale is final, you can arrange to have your handicap van delivered to anywhere in the Naples and Marco Island, Florida, area. Have your handicap van driven from our office to your driveway in Naples, Florida, by a mobility professional, and then, fly home. Have a mobility professional bring your wheelchair van on a flatbed trailer to your home or office in the Naples or Marco Island, FL, area. Pay nothing for delivery and travel to our office in beautiful Atlanta, GA, to pick up your handicap van and drive it home yourself. Often, customers traveling to us from Naples, FL, are eligible for our pick-up discount that comes off the purchase price of the van. In order to better acquaint you with how your specific wheelchair van operates, our mobility professional will provide you with our signature "White Glove Service" when we deliver your van. 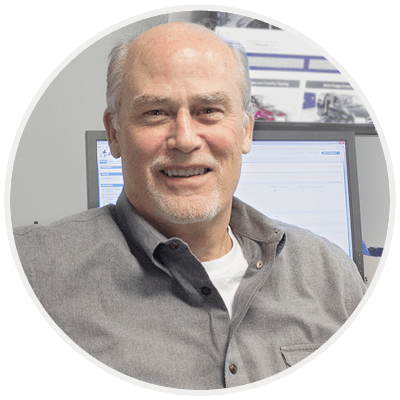 We'll show you how all of the factory and adaptive features on your van work, give you important safety guidelines to follow, and answer any questions you have. We want to be sure you are 100% satisfied with the handicap van that you purchase at the time of delivery, so every van is guaranteed! Upon delivery, if you aren't totally happy with your wheelchair van, we will return it to our office, cancel the sale, and schedule a prompt refund to be sent to you. If you prefer a second opinion, our mobility professional will meet you at any mechanic in Naples, Florida, and wait while an inspection is completed. Following our mission statement to provide every person who needs accessible transportation with an affordable wheelchair van, we are constantly discovering new ways to keep our prices as low as possible. Customers who purchase one of our innovative wheelchair van conversions typically save thousands of dollars over our leading competitors. Call us at 800-775-VANS (8267) to get a free, no-obligation consultation. We'll research our huge inventory of new and used wheelchair vans to find several that meet your mobility needs, and after you choose one to buy, we'll guide you through the completion of the purchase process while you stay at home in Naples, Florida. As one of the top dealers of mobility equipment in the nation, it's likely you've already seen a wheelchair van that was delivered to the owner's front door in Naples, FL, by AMS Vans. We look forward to coming back to the Naples and Marco Island, FL, area to deliver your mobility freedom vehicle soon!